Just a few short blocks from Times Square, the Homewood Suites by Hilton/Midtown Manhattan Times Square South offers 293 spacious studio efficiency guest rooms loaded with carefully considered amenities. Conveniences include complimentary WiFi, HDTV, full kitchen, 24-hour Suite Shop, grocery shopping service, 24-hour business center and an onsite laundry. Savor a complimentary full hot breakfast 6–10:30am daily, or meet friends in the evening in their spacious lounge. 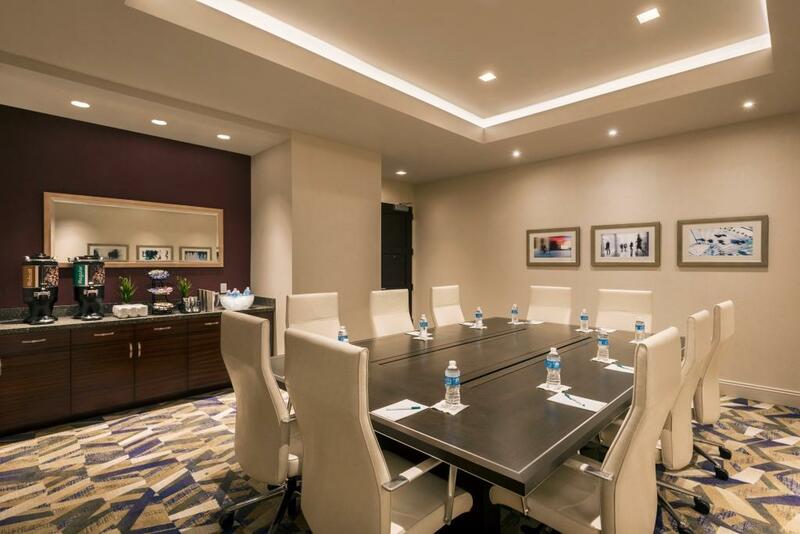 Host your next meeting in one of the tech-savvy meeting rooms, exercise in the expanded fitness center or unwind the day in the exterior rear or rooftop garden areas. 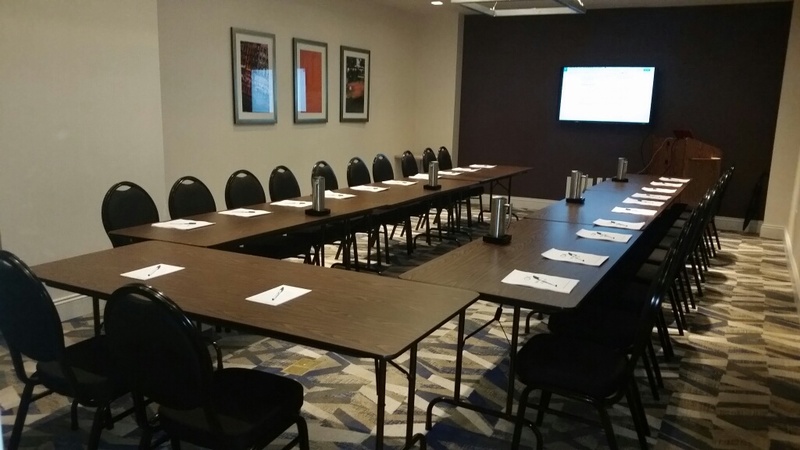 Description Two event rooms located in C level- our Executive Boardroom with high backed white Executive chairs and mahogany wood table, includes several outlets for laptop connections and a 55 inch Samsung Flat Screen monitor. This room is ideal for meetings of 4-12 persons. The Hudson room is located nearby on the C Level and flexible room holds up to 22 U-shape or 36 Theater Style or 26 Classroom. Space Notes Wi Fi in both rooms is complimentary and each room includes a 55 inch Samsung Flat Screen monitor. In addition, the Hotel sales office is located on the same floor within 20 steps to assist with any last minute requests.